March 2018 is already proving a packed month for our team and so much has been achieved already! 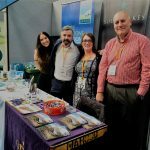 On the 7th-8th March, we joined forced with our sister companies: Cumbria Waste Group and South Lakes Services, to exhibit at the 43rd Lakes Hospitality Show. It proved a great success and we were fortunate enough to greet many of our existing customers as well as those interested in what we could offer their businesses in the future. As our stall could commit to everything from putting food on the table to removing the residual waste (and cleaning the used tablecloths!) it’s no wonder our stall was bustling over the 2-day period. We also squeezed in time to mingle with one of our existing clients, Cumbria Building Society. Orian maintain every one of their offices and branches and it was wonderful to hear that our superior standard is always maintained. Hearing such wonderful feedback about our service made us incredibly proud representatives for our entire team. 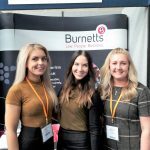 Burnetts Solicitors, who are due to relocate opposite Orian’s Head Office in Carlisle, were also exhibiting at the Show. As clients ourselves, we regularly attend the firm’s seminars and so there was plenty to discuss with regards to future opportunities and events. 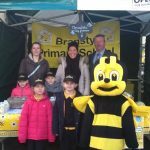 On the subject of bright futures, we’ve also lent a helping hand to the Bransty Primary School Bright Stars committee at the weekly Whitehaven Market. 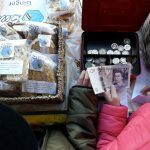 The pupils and staff have worked tirelessly to make a fantastic success of their biscuit business venture and have gained so many skills throughout the experience. You can see some photos of the eye-catching stall and sales team in our gallery. The pupils were even responsible for handling cash transactions and enticing passers-by with free samples. The committee plan to continue producing their branded biscuits after the competition closes having already formulated new flavours, and plan to keep their stall at the Market fully stocked every term. With so much to look forward to, it’s certainly proved a productive and lively week! Find out more about the Bransty School entry into the competition by following this link.